In November last year, home secretary Sajid Javid introduced legislation which made it possible for people to legally access cannabis for medical reasons. At the time, campaigners hailed it as a landmark victory – the Conservative government had typically taken a hardline stance on rescheduling drugs – and scientists and researchers welcomed the change. People around the UK, who had been self-medicating with cannabis for years, expected the law to finally make their lives easier. 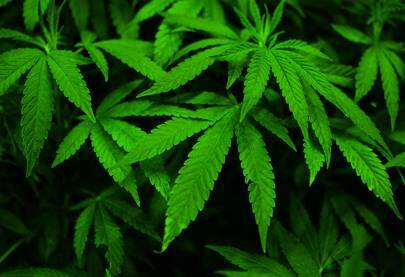 Three months later campaigners say that only handful have actually received a medical cannabis prescription since November 2018, and that the few who did manage to get a prescription have not actually been able to access medical cannabis – due to problems with persuading specialists that cannabis is the right option, obtaining licenses for cannabis-based products, and even transporting them once they’re in the UK. The problem isn’t necessarily the law: the interim guidelines, devised by the Royal College of Physicians and the British Paediatric Neurology Association, were written with far less time than specialists are usually given. The law makes no restrictions on the kinds of products that can be prescribed – except that they can’t be smoked – but experts are used to having large amounts of data from randomised controlled experiments when they’re creating new guidelines. The main problem with creating those guidelines was that cannabis had been until recently labelled as a Class A drug with no medical value, which made it difficult to carry out experiments on its properties. The range of psychoactive ingredients within cannabis and derivatives products can also make scientific study tricky, as some of the component parts of one cannabis product may react differently in another dosage, or even if grown in a different way. Cannabis is currently treated as a Class B drug under the Misuse of Drugs Scheduling Act of 2001. Before the law was changed in November, there was a string of high-profile cases of children who needed medical cannabis products to survive – such as Alfie Dingley and Billy Caldwell – who were granted exceptions by Javid. These individuals still have access to specific products, but for everyone else who was hoping to use medical cannabis products, the path is still very difficult. A recent report on the state of cannabis in Europe found that doctors in the UK didn’t know how to prescribe cannabis because they felt that they weren’t informed enough. Currently, medical cannabis products aren’t licensed for distribution or prescription; each prescription seems to happen because of one patient talking to a specialist about medication that has previously worked for them, and then trying to access it through legal means. One patient, Jorja Emerson, is two years old and received a prescription on the NHS – but no pharmacies stock it, or were willing to shoulder the responsibility themselves for importing it. Another, Carly Barton, is still waiting to actually receive her products. She went through a private pain specialist, and the medication itself will cost her roughly £2,500 – even though the actual product itself is far less expensive. Many of the products also have expiry dates, even though the recommended prescription dosage under these guidelines is roughly enough for a month. However, the current prescription and delivery process takes about eight to ten weeks, according to different estimates. This is not likely to change until more people get prescriptions, and wholesale importers and pharmacies start importing products in bulk – which might bring down the costs and smooth the process over. Opinions are split about possible solutions.There’s no data available about who has been able to get a prescription on the NHS – so far, campaigners are estimating three or four people as far as they’re aware. The NHS has set up a monitoring unit, which will publish its first results in March 2019.